Everything in this life is uncertain. We have no promise that we will be here tomorrow. Every day someone leaves this world. Family ties that one time seemed cemented to each other are splintered, some to never be repaired. Businesses that we remember as a child are no longer open; windows are boarded or maybe the building demolished completely. Best-friend friends allow circumstances and/or distance to separate them. Relationships that were meant to be “until death do us part” are irretrievably broken, households torn apart. That all sounds negative, doesn’t it? Unfortunately it is true. We can be thankful for family and friends who remain faithful, for comfortable homes, transportation and our loving church family; but honestly, it could be different in a moment. We want things that make us feel safe and happy, but they might disappear. The only thing that we can absolutely depend on is what God has said and what He does. Take your pick: any one of the single definitive words can be attributed to our God. To be absolute something is not dependent on anything else; not relative, it’s a law without condition. Let’s look at “something that is not dependent on anything else.” God is Who He is without the assistance of thought or act of anything or anyone else. He is self- contained, self-sufficient and exists without maintenance or dependence on anything. He told Moses that He was “I AM.” No further definition was needed. 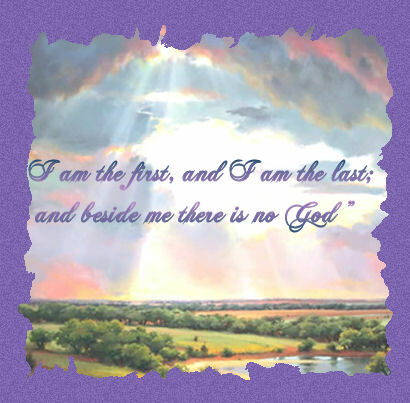 God is not “relative.” He is God always without consideration of any other fact. There is no “just in case, what if, maybe, when or sometimes.” He is not a God of relativity. His Word is not relative. He means what He says under all circumstances, no exceptions or exemptions. For example, He said “Thou shalt not lie,” and did not have addendums that would alter the original command. Pull up any commandment and the same principle is applicable, always. God’s Word is an Absolute and God protects the veracity of it. The Bible is, without exception, veracious (true, honest), no other perception. It is universally applicable; it has unlimited range. Everyone, everywhere is subject to God’s Word and its exactness, even if they don’t think so. Do you get my gist? I got off on this tangent after watching a television program discussing the “Common Core Standards” that are beginning to invade our public school system. And in fact even private Christian schools! I heard of an incident of a parent questioning a Christian school teacher about a textbook that clearly had a notation under its cover indicating it was a “Common Core” text. She discovered that teachers were told if they admitted to parents that it was a “CC” text, they would be terminated! I am not going to attempt to describe the tenants of the CC Standard; I’m not qualified. But I am going to strongly suggest if you care about what your children, grandchildren or friends’ children are being subjected to in the classrooms that you do your own intensive research. I will only relate one example here regarding the “fuzzy math” being taught. Ex: If your six-year-old is given a math problem that would have the correct answer of “2”(like 1+1=??) and she answers “3,” it would be considered correct if she could explain how she arrived at that incorrect answer. It would not be marked wrong! It wouldn’t matter that 1+1 has always been 2, the “relativity” of it would be, she could explain how she arrived at the answer, though wrong. So it is right! This isn’t basically about the idiocy of relative incorrect, fuzzy-math problem answer. I began to think how this kind of thinking has permeated the Christian world and how widespread it has become. You see, sin isn’t really sin if you can justify the action; so there is no need to repent and be restored. This is dangerous doctrine! Let’s return to the veracity of God’s Word that has been mutilated, paraphrased, changed to meet every relative experience until it’s hardly recognizable. Neither is the lifestyle of its adherents. I like what Matthew Henry said about this verse. He said this is opposed to the changes and revolution of the earth. God’s covenants are established more firmly than the earth itself. God’s Word or Law is eternal and unchanging, fixed, established forever in the heavens. You see, what is established in heaven is beyond the reach of a mere mortal on earth! No matter how much we might want to alter what is “settled in heaven,” it’s beyond our reach and power to do so. Heaven and earth were made by the Word of His Power and upheld and continue by that Power. Whatever His Word has said about the created heaven and earth will–without exception—come to pass! What a comfort to know that God is not uncertain, whimsical or fickle; His Word is settled and sure--and sane! “I am the LORD, and change not…” (Malachi 3:6). There is no failure in our God or His Word. He is limitless, endless and impossible to measure or calculate. And to think: We can know Him! We have unlimited access to His Love, and in the package of Love we have Grace because of His Mercy. If you have any doubts of what it would be like to have a changeable God who altered His Word on a whim or to conform to the circumstances, consider this. You are building a house with your life savings. You place an order for building supplies exactly according to the blueprint. The delivery truck backs up to the building site and begins to unload. God help us to not adhere to the world’s “Common Core Standards” lest we be found wanting when Jesus measures us by His standard--His Word--at His return for His family! Believe it--He is coming! Go here for an alphabetical index of all pages in this website. 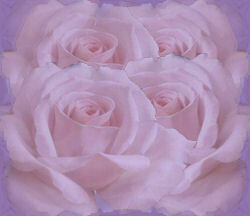 Music playing: "The Love of God"
Jesus is the "Rose of Sharon"